Australian Registered Migration Agents (No. 9803463)We have successfully assisted individuals, families and businesses in obtaining Australian permanent residency visas and ultimately Australian citizenship. We pride ourselves on the personalised attention we afford all our clients and continually strive to ensure that our clients have the most up to date information on migration issues. As a born and bred Australian who has lived in South Africa for the last 10 years, Garry Loseby (our Australian Registered Migration Agent) is in a unique position to provide information on all aspects of migration and life in Australia and is eagerly assisting South African business people to identify businesses for sale in Australia . Cost effective Migration optionsHow can we help you?At Australian Migration Specialists we believe in providing outstanding service at an affordable price. Migration to Australia is an expensive business and it is for that reason that we offer 3 different payment options to suit your pocket. We are registered with the Migration Agent’s Regulation Authority (MARA No. 9803463). The Office of the Migration Agents Registration Authority (Office of the MARA) is a discrete office attached to the Department of Immigration and Border Protection (DIBP), and regulates the conduct of Registered Agents. In order to operate an office in Australia an agent is compelled to register with the Office of the MARA. Additionally we are members of the Migration Institute of Australia, which is the professional association for Australian migration service providers worldwide, working together for the benefit of Australia. The MIA represents over 2200 Registered Migration Agents (RMAs) across Australia and overseas. 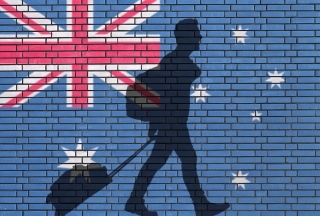 The Institute liaises with government departments on behalf of its Members, providing a forum for communication and a platform for submissions on aspects of Australian Government immigration policies and programs.